With Spring Tube's 147th release we present you the next full single of the tracks from label's latest sampler, this time it's by one of our most prominent residents Daniel Kneubühler aka Da Funk from Switzerland. Having releases on such respectable labels like Plastic City, AnjunaDeep, Pacha, I Records, Hope, Ready Mix, Dutchie, Silk, and his own Acryl Music, Daniel has already remixed for Spring Tube Claes Rosen's "Starlight", Blood Groove and Kikis' "Dice", Subsky's "Strawberry Fiels" and just recently Telekollektiv's "Robot Noir". 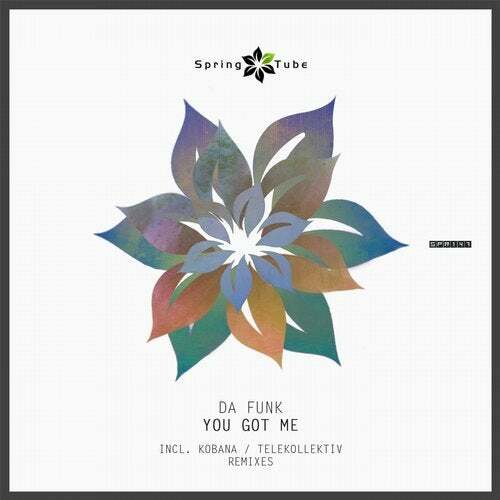 Now we're happy to welcome Da Funk with his first single on our label - "You Got Me". Besides the great breaks original that already gained lots of positive reactions from the likes of Nick Warren, Jaytech, Aeron Aether, and many others, the single includes two different remixes. The first interpretation delivers one-and-only Kobana who returns on Spring Tube with his fifth remix work for us - some fresh more deep sound from this artist but he did it again of course! The second version is by Telekollektiv who brings us his sixth remix work - more techy than ever before from this artist but it's probably the best one from him to date, - real dancefloor killer!